Is your destination equipped to create meaningful experiences? It’s time to take inspiration from Visit Flanders. Their approach to destination development in northern Belgium places them at the vanguard of those shaping today’s trends around tourism product and promotion. 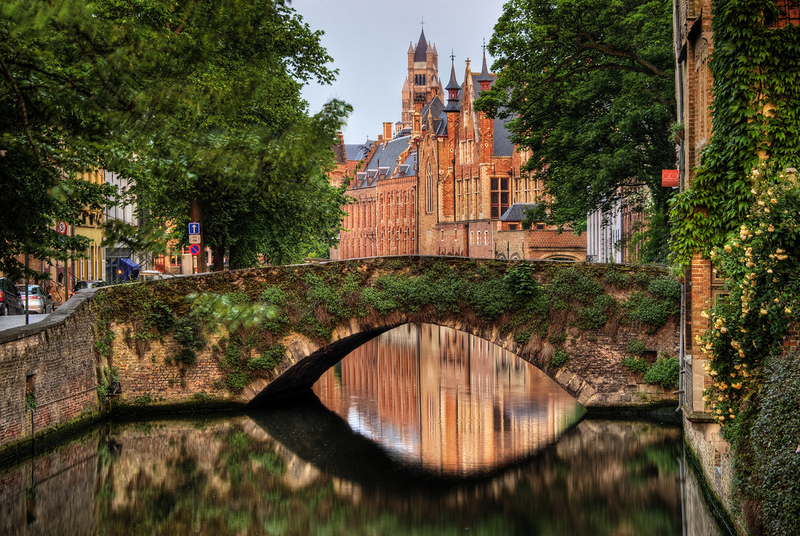 By emphasizing the “P” of product in their marketing mix, Visit Flanders matches visitors with niches to make the most of the region’s offerings. Elke Dens is Marketing Director at Visit Flanders and also Chair of the Marketing Group at the European Travel Commission. We asked her to share her valuable observations and experience as part of our Leading Thinkers series, which features the insights of those who participated in discussions at Destination Think! Forum 2016. In part 1 of this two-part interview, Dens describes why Visit Flanders prioritizes destination development and the holistic approach that defines success for their organization. In part 2, she describes how and why the European Travel Commission (ETC) promotes the European brand, and her advice for destinations who face disasters beyond their control. Destination Think! : For Visit Flanders, improving the guest experience seems to be at the heart of its marketing strategy. How are you addressing destination development and can you share any examples of these efforts? Elke Dens: Today’s business and leisure visitors are looking for experiences when they visit a place, so Visit Flanders wants to deliver state-of-the-art experiences that exceed visitor’s expectations. This results in higher visitor satisfaction, which is an important goal within our marketing strategy. To be able to create state-of-the-art experiences we need to work on the development of the product within the destination and create product experiences that first, match our destination’s DNA, second, meet high standards for quality, and last but not least, are tailored to certain markets or market segments. To make this happen, we also need to involve and work closely with tourism and other stakeholders responsible for delivering these experiences. For example, we know our visitors like the art and heritage that our destination offers. So, we like to present business travellers with “meet-centives” and conferences in one of our historic locations, like a castle from the Middle Ages, or an art nouveau building. However, these business travellers also have many specific needs like high-tech audiovisual requirements, which is not always immediately available in those protected heritage buildings. That’s where we need to develop these possibilities. We do that by giving subsidies or by helping the locations get the necessary approval from other departments. We do everything necessary to help partners provide the right experience in the right place. Furthermore, we aim to attract business travellers who work in a specific field or sector that is linked to one of the growth sectors in Flanders, e.g. biotechnology. Within this very targeted approach, we also create experiences. We partner with universities and companies to provide tailor-made educational experiences that show our expertise in this field. Business travellers have a genuine interest in their field, so they highly appreciate these experiences. Here’s an example in a leisure market. There are a lot of semi-professional cyclists who love travelling to a cycling destination to experience the suffering of the pros. We call them “MAMILs” (middle-aged men in lycra) with ambition and they are one of our target groups. Flanders has a very good cycling product that includes hills and cobblestone streets, but to enhance the experience, we took it a step further. For the occasion of the 100th Tour of Flanders we organized a ride for 100 international visitors on the same day as the professional Tour. The MAMILs appreciated this as a once-in a lifetime experience. And now we continue to offer trips guided by cycling professionals. Last but not least, we are developing experiences that combine travelling (a trip to Flanders) with shopping (buying a Belgian bike, e.g., Eddy Merckx Cycles). Visitors can do a test ride on the real hills and cobblestones, and if they like it, their bike will be shipped to their home when they finish their trip. How has a focus on improving experiences changed the makeup of your organization? Can you describe how Visit Flanders’ “Product Manager” position affects your marketing efforts? Unlike other destination marketing organizations (DMOs) that invest a lot in promotion, we’ve put the most energy and budget into the “P” of product, meaning not just the physical product, but the total experience of the product. That’s why we’ve introduced product managers in our organization, similar to how a commercial organization has product or category managers. We call them “product managers” because they are responsible for specific products our destination is known for, such as heritage, food and cycling. We should actually rename the position “experience manager” of heritage, food, or cycling, because what they do is leverage a product into a meaningful tourist experience. They work very closely with tourism suppliers and other stakeholders within our destination to make this happen. They start by researching their product category, which includes benchmarking to compare with other destinations, and then they make sure the experience matches our brand/destination DNA. Our product managers take full responsibility to develop qualitative experiences that match our market segments. We also have a mantra within Visit Flanders: we only promote what has been qualitatively developed, and we only develop what is in line with our DNA and is of interest to international visitors. This focus on the product has affected our promotion efforts very positively. The reason is simple: if people have a good product experience, they are satisfied and will tell other people. This word of mouth (or recommendation marketing) is the main source of information for tourists, and therefore also the core of our promotion strategy. Good product management has the power to facilitate good promotion. As a marketing leader, how do you define success for Visit Flanders? Let me use a travel metaphor: I define success in terms of a journey instead of as a destination. For Visit Flanders, defining success merely as a goal or a destination that translates into specific quantitative outcomes like an x-percent increase in visitors, jobs, or revenue is old school thinking. Everybody knows there are limits to growth for everything, including for destinations. Furthermore, there is a natural growth of tourism in our destination. So even if we don’t stimulate growth, more tourists will come. At this moment we have more than 20 visitors per inhabitant in Bruges, and we want them all to have a good travel experience with happy locals who are great tourism ambassadors. Do you see the challenge? For me, the way a destination is able to deal with these and other challenges defines its success. The benchmark of success will keep changing, so it’s a constant journey. Destinations need to stay on that journey and be able to adjust if something comes along the road. It’s about continuously being aware of what is happening, and identifying and predicting possible problems, threats and opportunities. It’s about accepting these “changes” with intelligence and responding adequately. Getting the right stakeholders involved in a holistic, long-term approach to destination planning and management can help destinations on their journey. A successful destination is a future-proof destination. How is Visit Flanders making itself future-proof? In Flanders, we are very much aware of and concerned for our fragile environmental, social and cultural resources. For instance, we deliberately focus on quality and visitor satisfaction when we target the cultural traveller. For instance, we really want the cultural traveller to see the Ghent Altarpiece in the place where it has always been. Although few people can visit this place at the same time, we choose to be authentic and focus on those who have a genuine interest in enjoying our rich cultural resources at the highest possible level. So we need to make clear choices to match the cultural supply with the cultural demand. It’s niche marketing. We have made a long-term policy plan for the destination and we have a clear strategy, but we also have tourism suppliers with the flexibility and agility to take on opportunities or respond to problems or threats. Our long-term planning supports good visitor management, spreading visitors in time and place across Flanders, taking into account places where the residents live in cities with many tourists. And that’s just one example of thinking holistically. It’s not just about a destination and its visitors. It’s also about a place where people live, study and work. By attracting conferences that are in line with one of our growth industries, we also cooperate with and strengthen the reputation of our companies, organizations, schools, etc. Together we make Flanders a better place to live in, study in, work in and visit. I think we are also a very agile and successful destination when it comes to being inclusive and responsive to current needs. For instance, if you are a cultural traveler with a specific need (such as allergies, medical conditions, disabilities, or you are unable to use the internet), we will do everything to guide you. To do this, we have set up an excellent collaborative platform with our tourism stakeholders who also make it possible for people in poverty and living in Flanders to go on a holiday, because we really think everybody deserves a holiday in our destination. I am very impressed by this Experience approach. Is there a chance this article comes in a pdf?